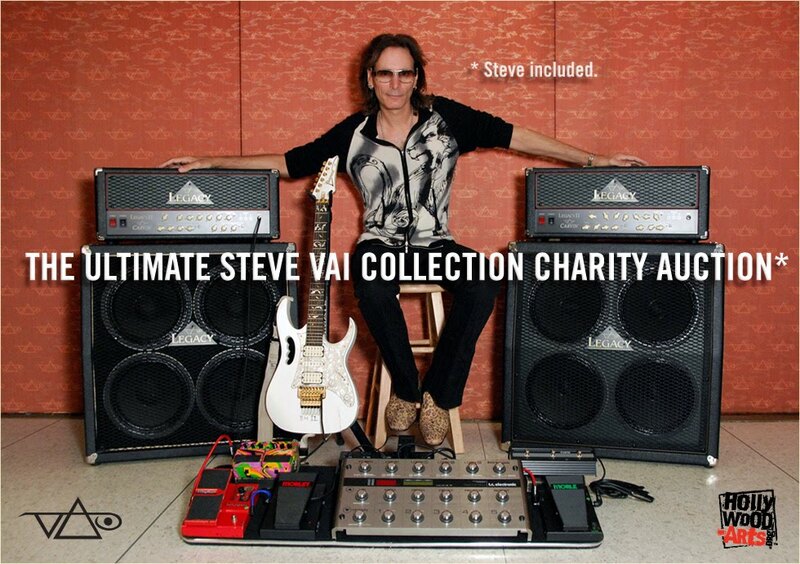 Bid on the ULTIMATE Steve Vai gear collection! This is a Once in a lifetime package for a special Steve Vai Fan! The following Steve Vai DiMarzio cables for the entire rig. These cables are of the highest end guitar cables manufactured in the world. IF THAT ISN’T ENOUGH, YOU ALSO GET THE FOLLOWING! A 1 hour private guitar lesson. If the winner lives in the LA area, Steve will make a personal house visit for the lesson. The winner is invited to an EVO experience (including concert tickets) in the town of their choice on Steve's next concert tour tour.